The interior finish is achieved through a combination of high quality materials and distinctive design details. Generous open-plan living rooms make clever use of the space, while the material palette shows it off at its best. 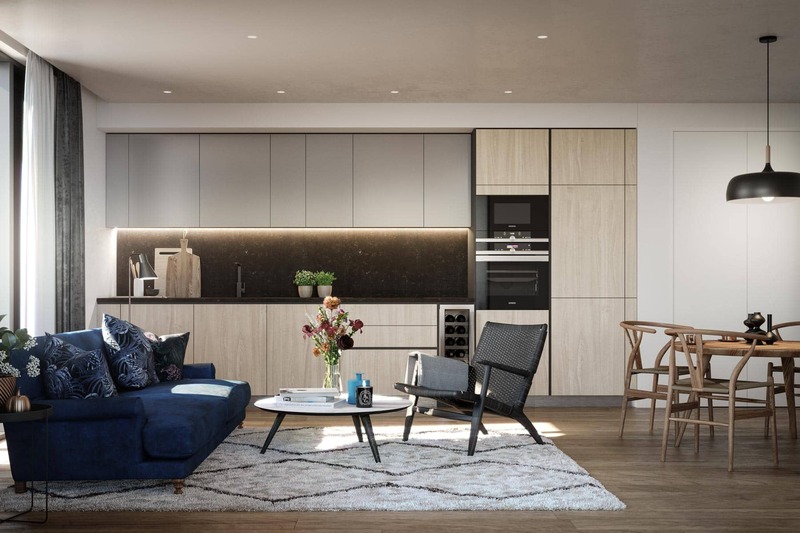 Features include engineered oak plank flooring and two-tone kitchen cabinets that blend seamlessly into the living area, with contrasting composite stone worktops, integrated appliances by Siemens and Bosch, and contemporary black fittings. 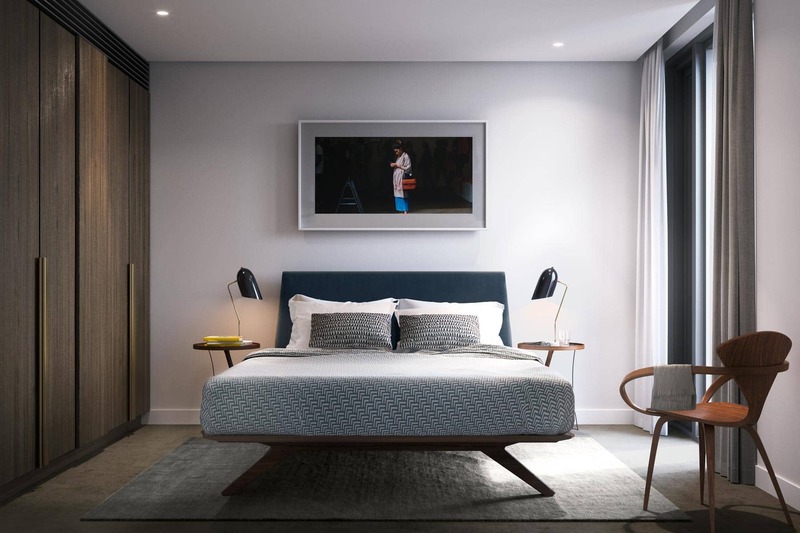 The tower apartments will also have comfort cooling in the living area and master bedrooms to ensure the perfect ambient temperature all year round. Avanti Architects have extended the space with a combination of open balconies and a revival of the 17th century concept of winter gardens – a conservatory-style extension off the living areas – providing an opportunity for green space and a connection to the outdoors. 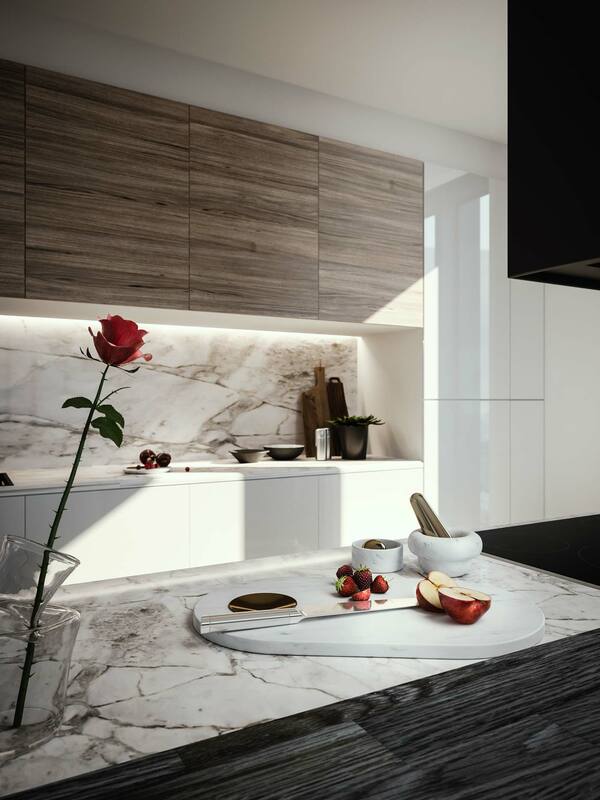 The sleek contemporary kitchens have been designed to maximise storage and blend seamlessly into the open-plan living space. Integrated appliances by Siemens and Bosch, black brassware and sink will appeal to the design-conscious. Fitted broadloom carpeting in all bedrooms offers a touch of luxury underfoot while large fitted wardrobes with treated oak veneer doors and linear brass handle details, add a hint of decadence while providing plenty of practical storage space. 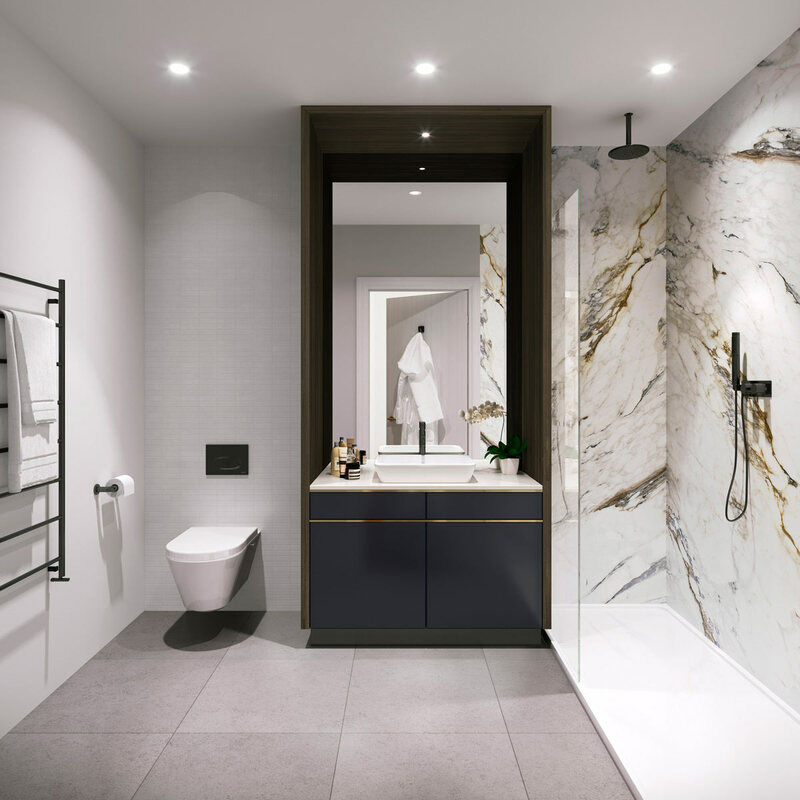 The sophisticated bathroom design includes heated towel rails, porcelain tiles, bespoke cabinets with brass trims (in family bathrooms), and statement black fittings that set them apart from the norm. 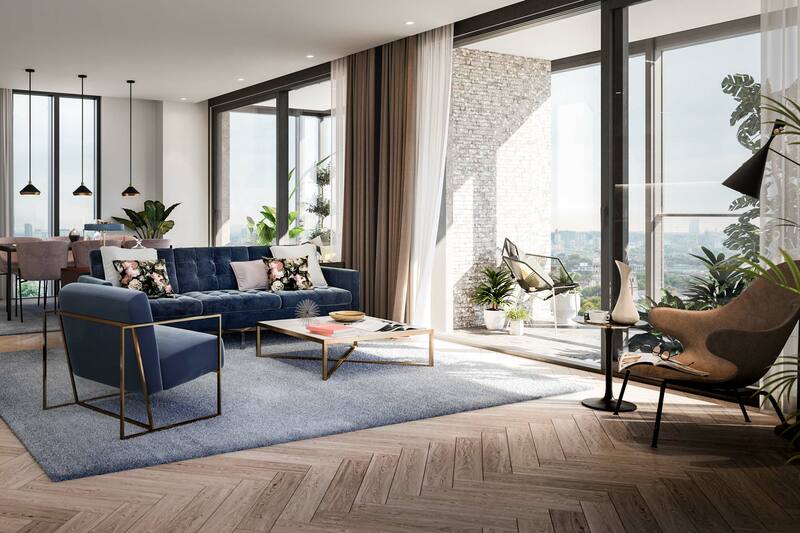 An exclusive collection of just four apartments across the top four floors of the tower with private terraces or winter gardens will not only offer spectacular views, but also incorporate further luxury materials such as herringbone flooring, honed marble, a brass-wrapped kitchen island and integrated home automation. 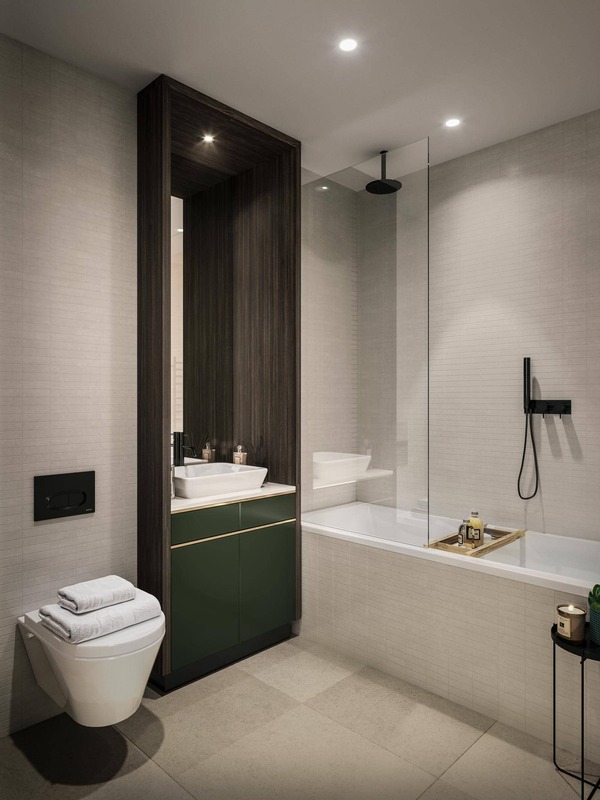 Bathrooms challenge the norm – porcelain mosaic tiling, black brassware, heated towel rails, and bespoke vanity cabinets with brass details create the ambience of a luxury retreat. Full-height glazing floods the generously proportioned bedrooms with natural light, while fitted broadloom carpets provide comfort underfoot. Most bedrooms include smoked oak veneered built-in wardrobes with linear brass handles. Over the 25th to 28th floors, a collection of sky-garden duplexes and generous lateral two bedroom apartments adopt premium finishes and panoramic city views. 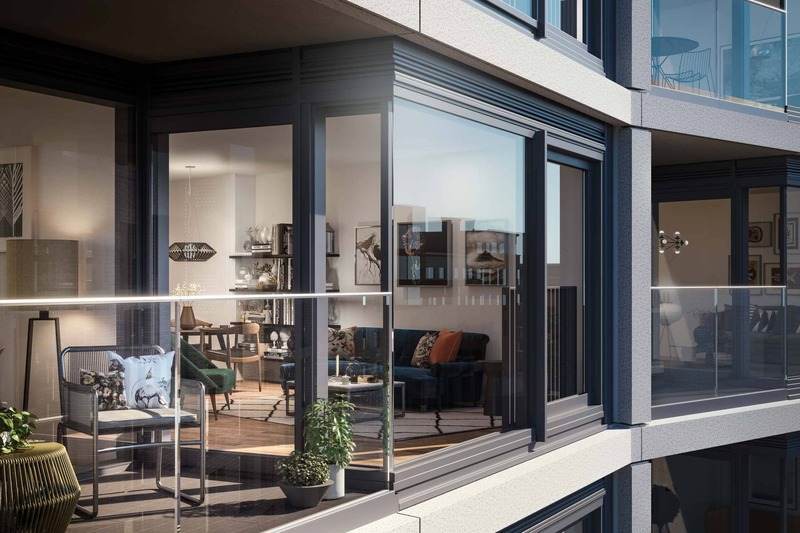 The three bedroom duplex apartments occupy the 25th and 26th floors and have triple aspect views and access out to private west-facing roof gardens. 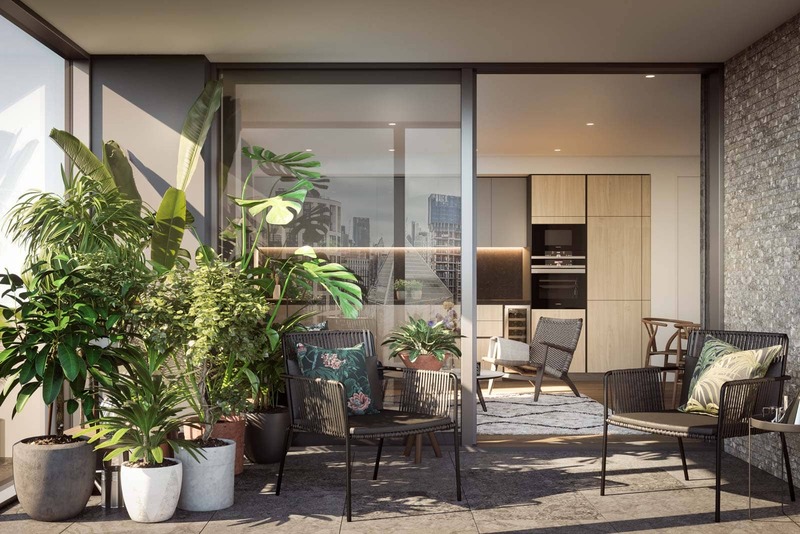 Floors 27 and 28 are dedicated to lateral living, where the entertaining space takes full advantage of the prime southerly position, whilst the bedrooms are set to the rear giving them a sense of seclusion. Details such as herringbone flooring, honed marble to the ensuite bathrooms and feature kitchen islands set them apart from the rest.